Trikannad Shiva Temple is an ancient temple situated at Chandragiri which is about 6 kilometers away from Kasaragod town of Kerala. 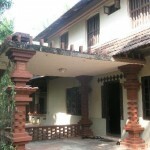 This is the headquarters of Anjooru Nayanmars. 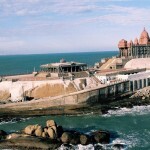 The Trikkannad Shiva Temple is located on the shore of the Arabian Sea. 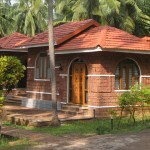 It is situated at a radius of 1 kilometer from the renowned Bekal Bridge. The location of this temple is unique and it provides the worshippers an opportunity to make their appeal to God. It is said that all the appeals are granted here by the Almighty.As per the legends once a Pandyan ruler tried to attack the Shiva temple and the reigning deity of this temple set fire to his ship and turned him into a rock. In this rock the famous Trikkannad Siva Temple is located. This temple is also known as Dakshina Kashi. The temple is true to its name and suggests that Lord Shiva is the principle deity of the Trikkanad Temple. He is known by various names like Nilkantha, Bhairava or Bholanath in other parts of the country. The festival of Trikkannad Siva Temple continues for one week and has a number of assisting programs. The annual festival of this temple is a grand event. There are many rituals celebrated here which include Flag Hosting, Ashtami Vikallu and Pallivatta. The special feature of this temple is that it faces the west. Thousands of devotees come here in order to see the splendid festival. The rope used for the purpose of Dhwajarohanam is similar to the rope used at the other temple located a few kilometers from this temple. Troupes of five hundred professional singers sing jointly in praise of the greatness of the diety. This temple has close connections with Trikkannad Siva temple. The dignitaries of all the Kazhakams of Saliyas from Pattuvam to Panamboor which is presently known as Mangalore known as Pathinalu Nagaram assemble here annually on the second Saturday of the month of November. 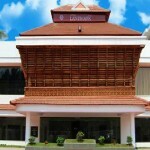 By Train– Kozhikode Railway Station is located in the city. 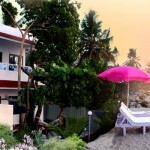 By Road– Mangalore, Kochi, Thiruvananthapuram, Chennai, Bangalore, Coimbatore and many other cities are well connected to the town. 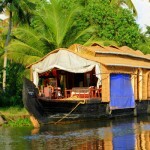 Kozhikode town has a good road netowrk with other cities of Kerala Also. 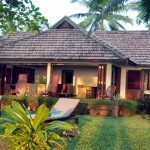 By Airways– Calicut International Airport is located in the Kozhikode city . It is caonnected by all the major cities of India and have regular flights of different Airlines. 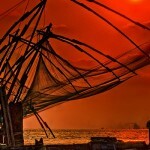 From Kozhikode town it is located about 6 Km away.